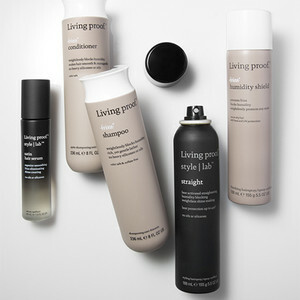 You’ve got anti-frizz, anti-dandruff, heat protectors, smoothers, curl controllers, and moisturizers. Well you’re not alone. Many of us spend hundreds of dollars just trying to tame our manes. I’ve come to the conclusion that we may need some products to deal with specific hair issues, but if we have the right shampoo and conditioner to start with we wouldn’t need so much other stuff. If you have dry of damaged hair, look for a thicker and heavier shampoo. Products like Shea butter, silk proteins, and oils will help to re hydrate and repair your locks. Avoid sodium laureth sulphate which can be drying. Oily or limp hair does well with a clear colored shampoo (opaque colored shampoo tends to be heavier). Finer hair textures need something that is hydrating, but doesn’t weigh the hair down. Wheat proteins can help to plump up the hair. and don’t forget, use conditioner. If your hair is flat by the end of the day, you are using the wrong one. conditioners will maintain your moisture and prevent damage. Colored hair needs shampoos that will maintain pH balance and also protect your hair from fading. Bonus if it has UV filters to protect against sun damage. Colored hair also tends to be porous, so a product that is too heavy will weigh it down. A rich enough conditioner is also needed to put moisture back in. Coarse/curly haired boys and girls are wonderful, but over washing is a big mistake. Wetting the hair and conditioning often is good, but keep washing to no more than every 3 days or so. Look for shampoos with silk proteins. Avoid silicone which can leave a build up. Oils can help to seal in moisture. We strongly recommend using a leave-in conditioner along with shampoo and conditioner.